Serving Clients Injured By Big Trucks NATIONWIDE. Hire The Firm With Actual Trucking Experience! The Atlanta truck accident lawyers at the Graham Law Firm also know as “The Big Truck Lawyers”, are dedicated to helping commercial truck accident victims and their families who have suffered a serious injury or fatality. 18 wheeler accidents often result in more serious injuries and fatalities, compared to passenger vehicle accidents. Our Georgia truck accident lawyers are well-versed in all aspects of federal safety regulations and state laws and have used this specialized knowledge to assist numerous victims throughout Atlanta, Marietta, Griffin, Macon, and the entire state of Georgia to seek recovery from negligent trucking companies and others. Following an accident, your life can be thrown off course in an instant. You or your loved one may have been physically hurt and emotionally scarred. In the worst case, you may have lost a loved one due to the negligence or recklessness of another. The Graham Law Firm is the proven and professional team you can rely on for guidance and protection against insurance companies who will take advantage of you following an accident. You can count on “The Big Truck Lawyers” to help you when you need it most. After a truck accident, it is important for you to seek the medical attention you need. The healing process after an accident can take a toll on you physically, mentally and financially. Our job is to monitor and guide our clients through the entire process to maximize your recovery and pursue the compensation you deserve. To learn more about your right to financial compensation, complete our free case evaluation form or call us at (404) 526-9955 to schedule a complimentary consultation. The Big Truck Lawyers at The Graham Law Firm can conduct a thorough investigation into the potential causes of your accident and work to hold the at-fault parties responsible for your injuries. Our Atlanta truck accident lawyers have experience handling complex truck accident cases and understand how to clarify which party may or may not be liable for your injuries. Why Choose the Graham Law Firm For Your Big Truck Accident Case? The Graham Law Firm provides small town personal services while getting big city results. 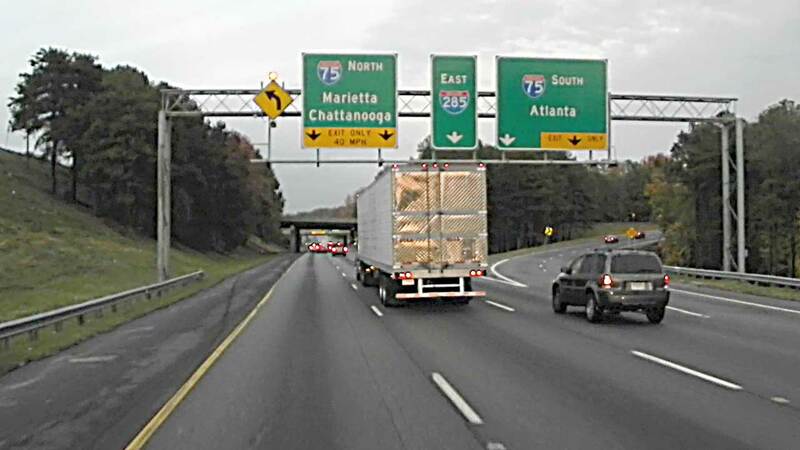 Our 18-wheeler accident lawyers in Atlanta focus on helping individuals who are injured by big trucks and 18 wheelers. Our team consists of an accident reconstruction team, private investigators, and transportation industry experts who are ready to serve you. Big trucks are highly regulated by the federal government’s Motor Carrier Safety Administration. We are keenly aware and remain current on these federal regulations. Our specialized knowledge and experience in the transportation industry separate us from other firms. 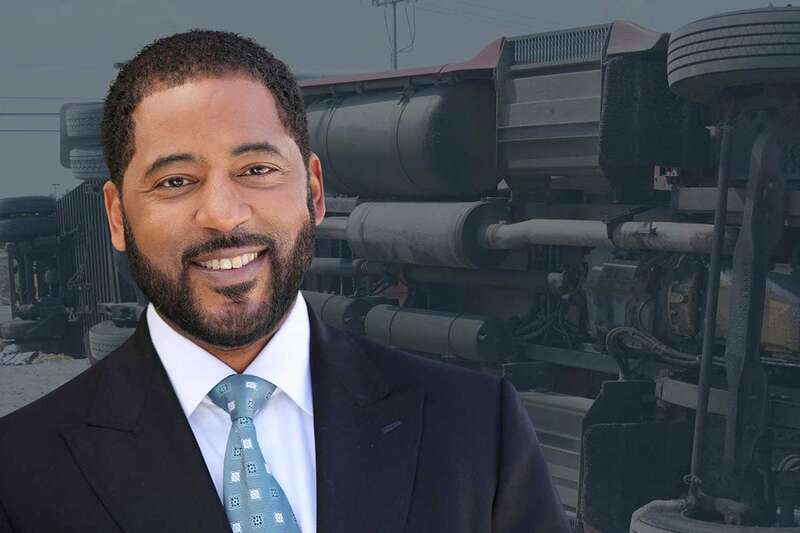 Our founder, Charles Graham, has a decade of experience working with truck drivers and trucking companies. He has operated and managed big trucks in the garbage/waste industry, as well as 18 wheelers. His experience includes dispatch, safety, compliance, hiring and screening of drivers, load securement, and training. He has worked not only in the field, but also as an industry insider, executive, and owner. He is familiar with the ins and outs of this industry and applies this knowledge to big truck accident cases. When dealing with accidents involving big commercial trucks, you should only trust someone that has Charles’ specialized knowledge and experience. He knows how to get all the facts that can help maximize the compensation you are entitled to. We hold the trucking and insurance companies responsible for all your property damage, reimbursement for lost property, medical bills, lost wages, pain and suffering, and - in some cases - punitive damages for the at-fault party’s reckless or intentional conduct. Gloria D. Berry is also an integral member of the team. She brings a wealth of legal knowledge with her with over 25 years of legal expertise and experience in helping families throughout Butts, Clayton, Fulton, Henry, Lamar, Pike and Spalding Counties. Clients throughout these counties frequently contact the Graham Law Firm due to Ms. Berry’s proven track record of results for our clients. Since 2002, the Graham Law Firm has had the honor of representing thousands of individuals throughout Marietta, Griffin, Macon, Atlanta, and the state of Georgia. In the last ten years, our firm has collected over $25 million in verdicts and settlements. Our thorough investigation and dedication to helping you recover maximum compensation will protect your rights. Contact our Atlanta Truck Accident Lawyers to learn more about how we can help you and your family so you can concentrate on your recovery.